One-million dollars is a lot of money to most of the world’s population, but it’s a drop in the bucket to a billionaire. The housing market in the U.S. seems to have a similar relationship with homes valued between $900,000 and $1.1 million: Some of them are sprawling estates, while others are considered middle-of-the-road homes. HouseCanary examined homes valued around $1 million in different metropolitan statistical areas (MSAs) across the country to determine what an “average” million-dollar home looks like, from San Francisco to Tuscaloosa, Ala. We found that what a million dollars will buy can vary widely from place to place—so if you’ve got $1 million to spend on a home, here’s what you can expect to get in return. In most markets, $1 million will get you a lot of house, but they might not be considered mansion material. We found that in the preponderance of markets (110 out of 375 metro areas), a million-dollar home is somewhere between 3,000 and 4,000 square feet. But there are also some markets where you can buy a true mansion or estate if you’re willing to spend between $900,000 and $1.1 million. Those markets tend to be at least somewhat off the beaten path, so you may be sacrificing some shopping convenience, access to airports, or proximity to cultural, sports, or other local assets. And those markets may not also have relatively high household income, meaning you’ve got to save for a lot longer to make that million-dollar down payment. But the amount of room you’ll get to spread out and do your thing might make that kind of sacrifice well worth it! Ohio is one state with several big cities, but it’s in unassuming Lima, about 90 minutes northwest of Columbus, where you’ll find the best deals for $1 million. The average million-dollar home in Lima, Ohio, is 9,435 square feet and sits on a four-acre lot. It has five-plus bedrooms, four bathrooms, and 4-5 parking spots. For that million-dollar home, buyers pay about $105.99 per square foot. In Lima, most homes are very affordable. To pay a mortgage on a median-priced home in Lima, the median-income household would spend 17.30 percent of its income. The median household income in Lima is $45,575, and you can still buy a home there for much less than $100,000. So it’s not surprising that the two million-dollar homes in Lima are much larger than average! You’ll find similar bang for your million-dollar buck in Anniston-Oxford-Jacksonville, Ala., about an hour and 20 minutes northeast of Birmingham, where the average million-dollar home is 8,354 square feet and sits on a five-acre lot. It has three bedrooms, 2.5 bathrooms, and 4-5 parking spaces. The price-per-square foot in this corner of Alabama for a million-dollar home is about $119.70. Homes are also very affordable in Anniston-Oxford-Jacksonville, with the median household spending just shy of 17 percent of total household income ($41,954 annually) on a median-priced house. Texas is another state with several big cities—Houston and Dallas are two of the biggest cities in the country. In Wichita Falls, Texas, about two hours and change northeast of Dallas, your average million-dollar home comes on a whopping 60-acre lot and is 7,852 square feet. 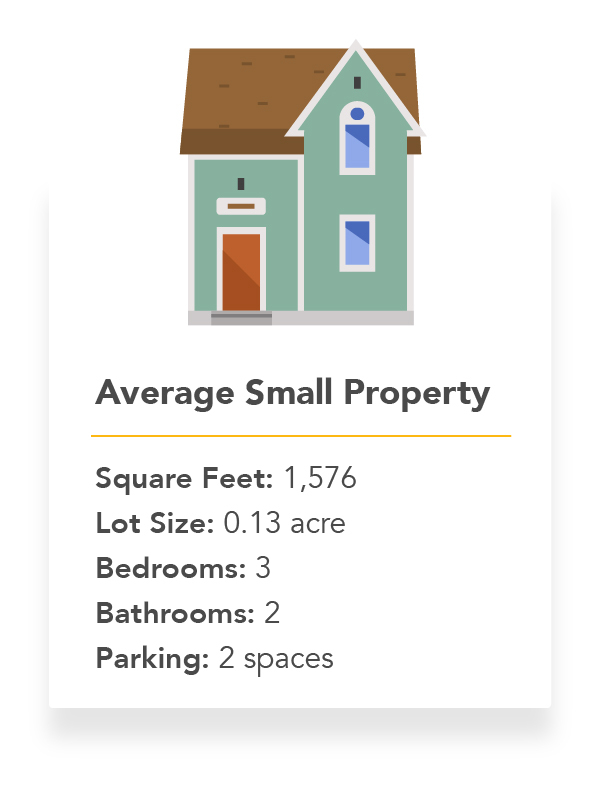 The price-per-square foot is about $127.36—still very reasonable. It has five bedrooms, 4.5 bathrooms and four parking spots, and the median household in Wichita Falls spends just 13.94 percent of its annual $46,043 income on a median-priced home. Even though there are more homes between 3,000 and 4,000 square feet than between 4,000 and 5,000, the average square footage for a million-dollar home across all metros studied is 4,305 square feet—which is quite a bit of room to stretch out, but still only about half the size of the biggest million-dollar homes in the country. In the Nashville MSA (which also includes Davidson, Murfreesboro and Franklin, all in Tennessee), an average million-dollar home is 4,302 square feet, with 3-4 bedrooms, four bathrooms, and three parking spots nestled on a 0.96-acre lot. The price-per-square foot is $232.45—more than double the price per square foot in Lima, Ohio. Affordability in Nashville is also middle-of-the-road: Most economists suggest that households spend no more than 30 percent of their total income on housing, and in Nashville, a median-priced house costs 30.5 percent of the median household income, which is $56,152 annually. Richmond, Va., and St. Louis (spanning both Missouri and Illinois) are also relatively average markets. 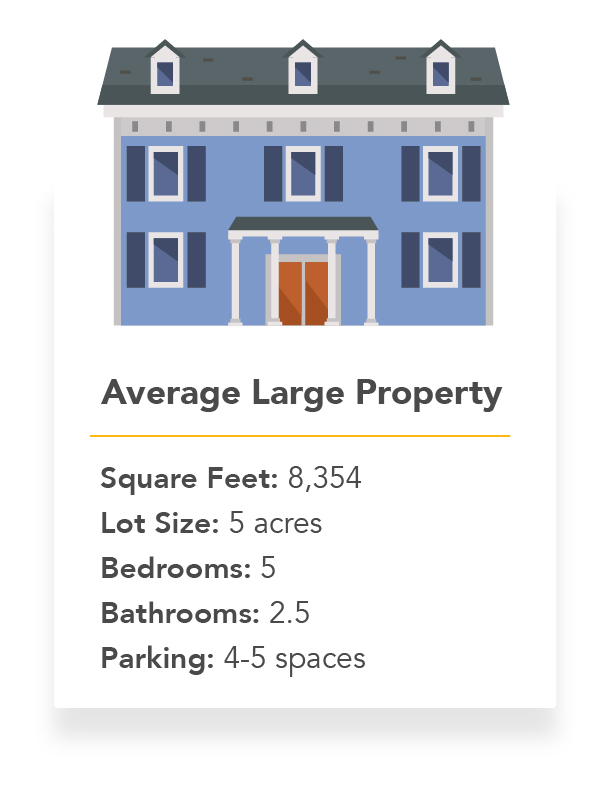 In Richmond, an average million-dollar house is 4,312 square feet on an 0.85-acre lot, with four bedrooms, four bathrooms, and two parking spots. The price-per-square foot is $231.91, slightly lower than in Nashville. A median home for a median household in Richmond uses 29.17 percent of its $61,124 annual household income. And in St. Louis, the average million-dollar home is 4,330 square feet on a 0.93-acre lot. It also has four bedrooms, four bathrooms, and two parking spots. The price-per-square foot is very close to both Richmond and Nashville at $230.95. In St. Louis, the median household (which makes $56,726 per year) spends 21.83 percent of its income on a median-priced home. It makes sense that in areas where housing is more affordable, million-dollar homes are larger. 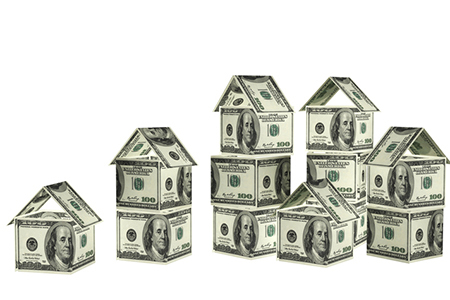 But what happens when affordability starts to creep up (and up…and up)? As you might guess, when affording a home captures more and more of a median household’s income, the million-dollar homes get smaller. The smallest average million-dollar home in the country is in San Jose-Sunnyvale-Santa Clara, Calif., at 1,576 square feet, on a 0.13-acre lot. 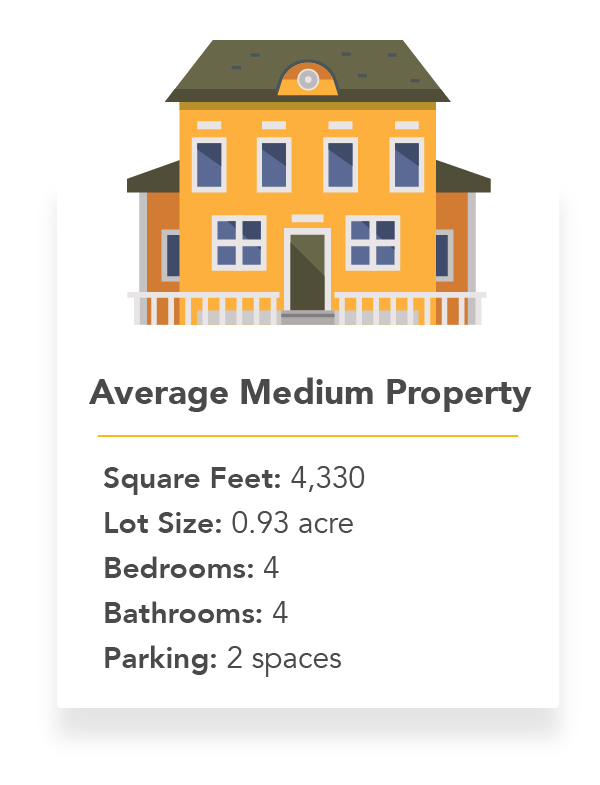 It has three bedrooms, two bathrooms, and two parking spots, and in this MSA, the median household spends 76.33 percent of its income ($100,469 annually) on a median-priced home. The price-per-square foot is an eye-popping $634.52, almost six times what you’d pay in Lima, Ohio, for a home. In San Francisco-Oakland-Hayward, Calif., you’ll find a slightly bigger average million-dollar home at 1,600 square feet, on a 0.13-acre lot, with three bedrooms, two bathrooms, and two parking spots. The price-per-square foot is $625, just $9.52 lower than in San Jose-Sunnyvale-Santa Clara. A median household in the Bay Area makes $85,947 per year and typically spends 80.20 percent of its total income on a median-priced home. Honolulu is another market with small average million-dollar properties. In Honolulu, the average million-dollar home is 1,846 square feet on a 0.15-acre lot, with four bedrooms, two bathrooms, and two parking spots. The price-per-square foot for a Honolulu million-dollar home is $541.71—definitely more reasonable than its San Francisco counterparts, but still almost double what you’d pay in Nashville, Richmond or St. Louis. The median household in Honolulu (which makes $77,161 per year) spends 61.62 percent of its income on a median home—still more than double the recommended amount, but much more reasonable than San Jose or San Francisco. In Boulder, Colo., you can get slightly more square footage for a million dollars than in San Francisco. The average Boulder million-dollar home is 2,270 square feet on a 0.24-acre lot, costing $440.53 per square foot. It has four bedrooms and 2.5 bathrooms, with two parking spots, and the median household spends just over half (51.39 percent) of its $72,282 annual income on a median home. Would you rather have a vast estate in Lima, Ohio, or Wichita Falls, Texas, or a cozy family home in San Francisco or Honolulu? Maybe opting for something middle-of-the-road in St. Louis or Nashville makes more sense…and it’s less square footage to clean! This was originally published on HouseCanary. For more information, please visit www.housecanary.com.